WASHINGTON – Frontline border officials told a Senate committee Tuesday that the crisis at the southern border is real and that “something has to change” to combat the growing number of migrants arriving at the U.S.-Mexico border. The testimony came as Customs and Border Protection released new numbers that showed apprehensions at the southern border through the first half of fiscal 2019 have almost reached the total for all of 2018, with the number of families rising more than three times. “In my 30 years as an agent, I have never witnessed the conditions we are currently facing on the Southwest border,” said Rodolfo Karisch, chief patrol agent for the Border Patrol’s Rio Grande Valley sector. “This is not a manufactured crisis created by those of us who live and work in the border area,” said Karisch, who previously worked in the Tucson sector. 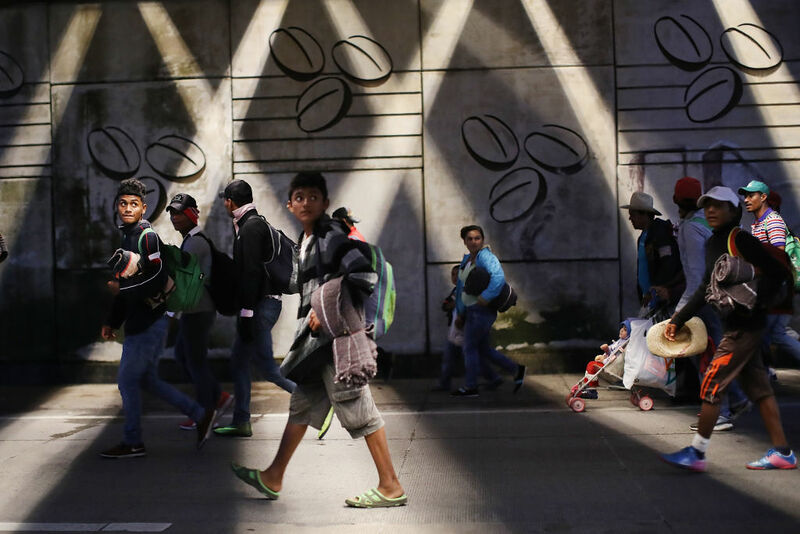 But critics continued to lay the blame for the ongoing problem at the feet of the Trump administration, saying the White House does not want to address the root of the problem: turmoil in the Central American countries from which most of the recent migrants come. “Actually addressing the root causes of the problem in Central America and humanely managing applications for asylum from families fleeing violence are far, far down the list of Trump administration priorities,” said a statement last week from Pili Tobar, deputy director of the pro-immigration organization America’s Voice. “Unfortunately, in the days since, just five days, we’ve seen nothing but more chaos of the administration,” Peters said Tuesday. On Friday, President Donald Trump suddenly announced he was withdrawing the nomination of Ron Vitiello to be head of Immigration and Customs Enforcement, saying only that he wanted to “go in a tougher direction.” On Sunday, he accepted the resignation of Homeland Security Secretary Kirstjen Nielsen. Those moves followed a week in which the president threatened to shut the border with Mexico, which he has since backed away from, and said he would withhold $450 million in aid to Honduras, El Salvador and Guatemala, a cut that has yet to happen. Trump complained then that the Central American countries have not done enough to stem the flow of northbound migrants and that Mexico has not done enough to stop them once they cross that border. The CBP numbers released Tuesday showed that 265,949 migrants from the three “Northern Triangle” countries in Central America were among the 361,087 migrants apprehended at the southern U.S. border in the first six months of fiscal 2019, about the same number as for all of fiscal 2018. In contrast, just 74,464 Mexicans were apprehended in the first half of fiscal 2019. In Arizona, there have been 63,457 migrants apprehended by Border Patrol so far this fiscal year. At this point a year ago, only 37,794 migrants had been apprehended. Of last month’s apprehensions, Hastings said about 30,000 were single adults, 8,900 were unaccompanied minors and 53,000 were people traveling with families – a 375% increase in families stopped at the border over the first half of fiscal 2018. The surge has strained the capacity of border agencies which have been forced to release many migrants once they are processed and given court dates. The 2019 numbers are still well below the early years of this century, when apprehensions routinely topped 1 million a year, but they mark a sharp turnaround from years of decline. Karisch and other border officials urged lawmakers to change laws they said “incentivize” immigrants to make the journey. In response to the surge, CBP has moved 545 officers away from their port of entry posts so they can assist Border Patrol, said CBP Office of Field Operations Executive Director Randy Howe. He said being a CBP officer is “an immense task even in the best circumstances” and staffing shortages are compounded by the redeployments, leading to long delays in crossing the border at El Paso, Texas, and other ports of entry. But Tobar said the Trump administration continues to “fundamentally misunderstand the challenge we’re facing” at the border. “Instead of seeking to advance humane and pragmatic policy to de-escalate the situation, they are motivated by what will help Trump build a wall, get applause at his rallies, look tough, and burnish his political brand,” she said in her statement. Peters said the problem “is, in a word, chaos” in the Trump White House.